Your Joy-Con controllers will fit in here. 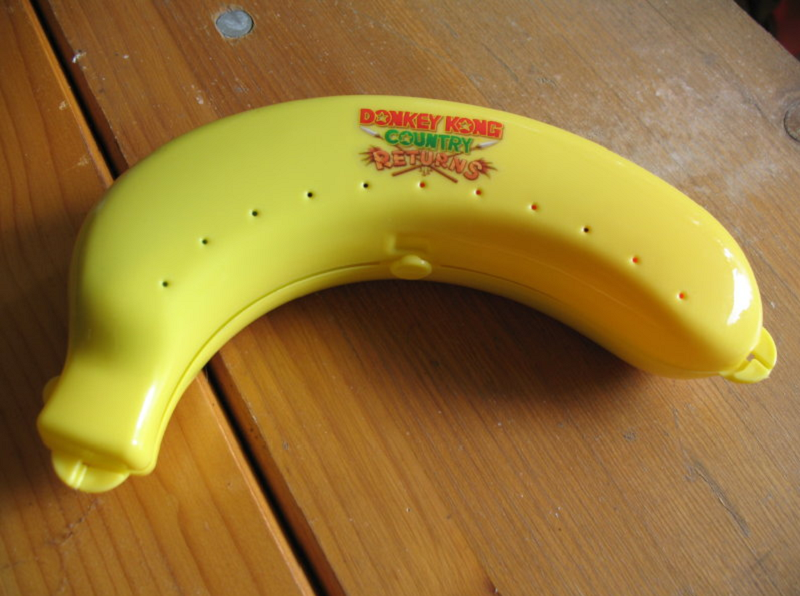 That’s what Reddit user Zefipalu discovered when they decided to try and answer the immortal question, “Hey, would my Nintendo Switch Joy-Con fit in here?” The limited edition banana holder was released around the time of Donkey Kong Country Returns for the Wii (which was later ported to the 3DS and Wii U) and you know what? It worked! The case was allegedly designed to hold real bananas and keep them safe. Like when you snag a banana for a small breakfast or as part of lunch and don’t want it getting all smooshed at the bottom of your bag. According to Zefipalu, it wasn’t really big enough for most bananas, so there it sat, all lonely and gathering dust on a shelf or in a closet somewhere until Nintendo decided to release a handheld console with two very tiny controllers. I’m not going to say that the it’s the most practical carrying case for the Joy-Con, but it’s definitely one of the flashiest.